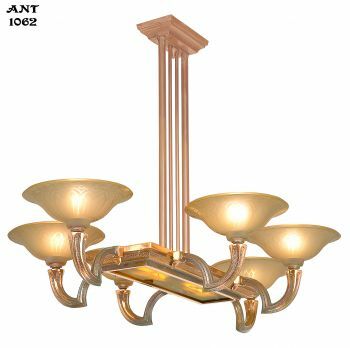 Very nice frame design, which is nickel plated. Very nice amber shades, which are in simply great condition for their age. 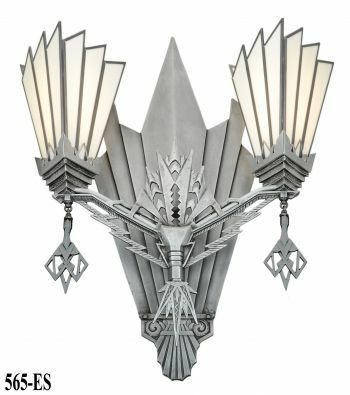 Simple, but elegant, and an iconic motif for the Art Deco period. 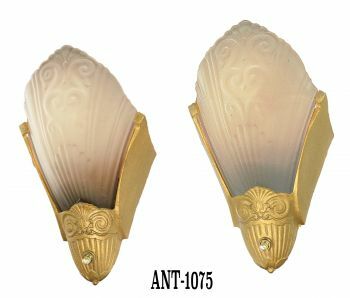 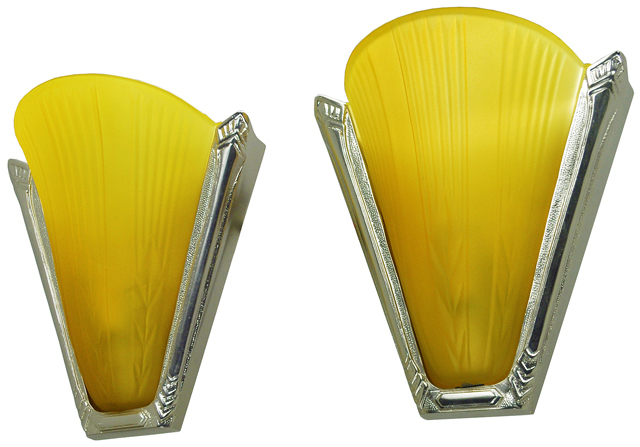 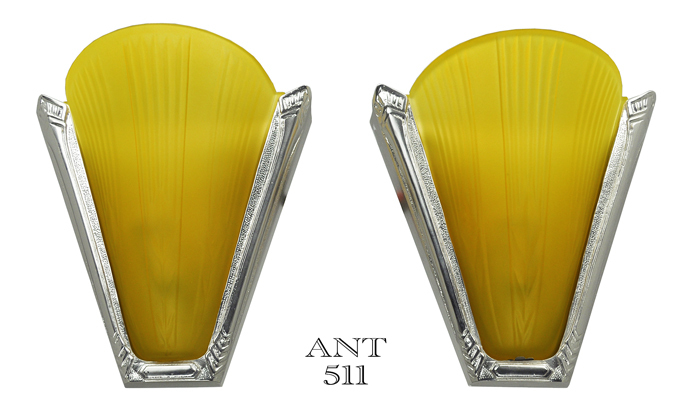 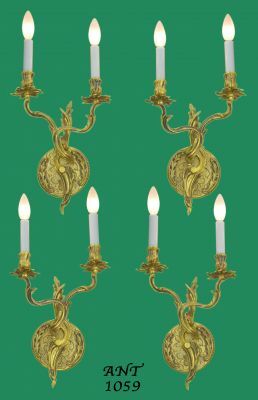 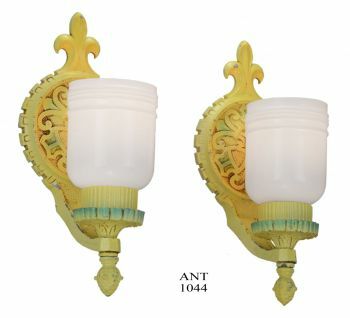 When received, these sconces had French sockets which were changed in our UL shop to standard American sockets. 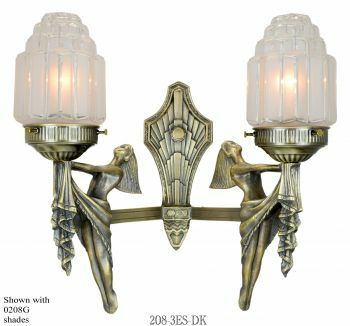 Therefore, we have totally re-wired these sconces in our UL shop with American medium base sockets and new supply wire. 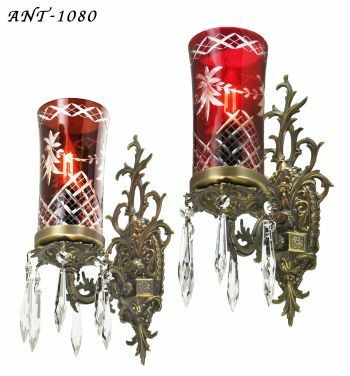 They do not, and never did, have switches, since that is not necessarily a French custom. 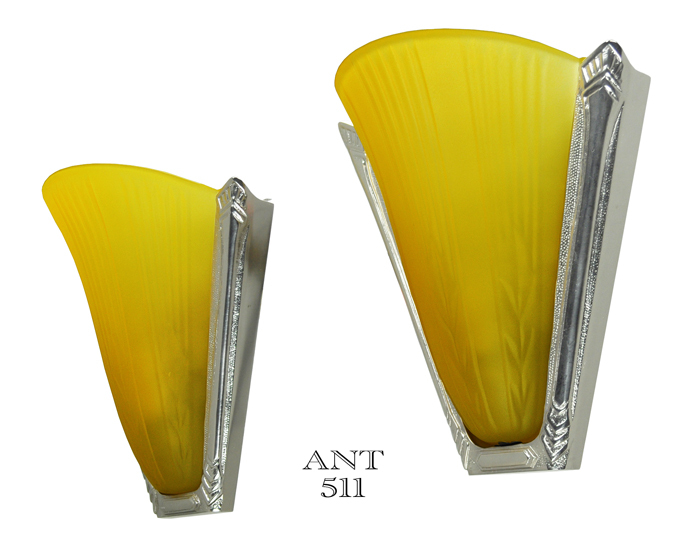 We changed the mounting as well. 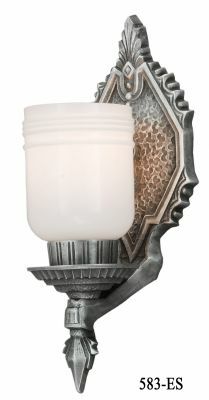 The sconces now mount to a standard American electrical box with a standard American crossbar, which will be supplied. 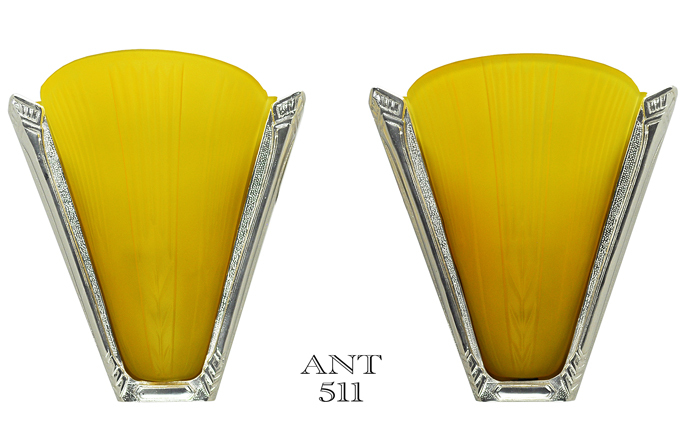 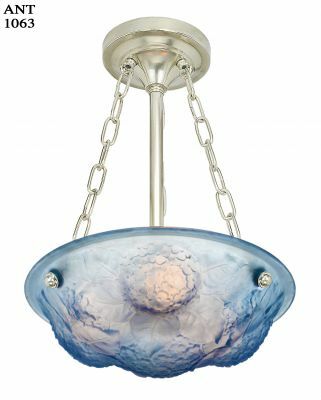 Height: 10 ½" overall, measured from the top of the shade to the bottom of the frame. 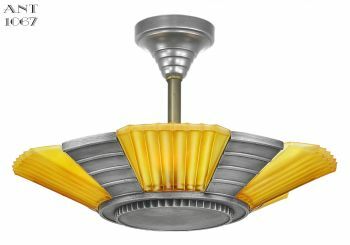 Projection: 4 ½" from the wall into the room. 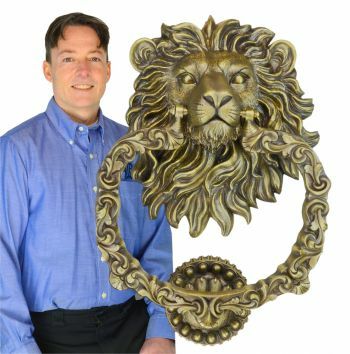 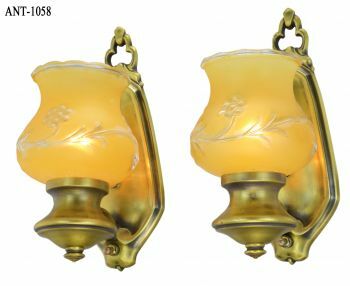 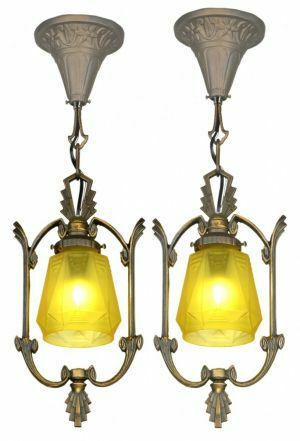 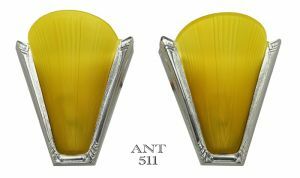 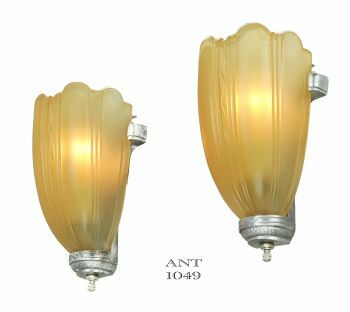 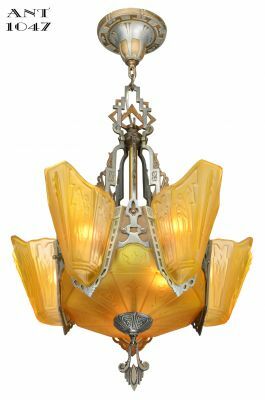 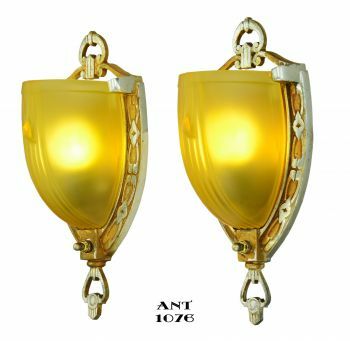 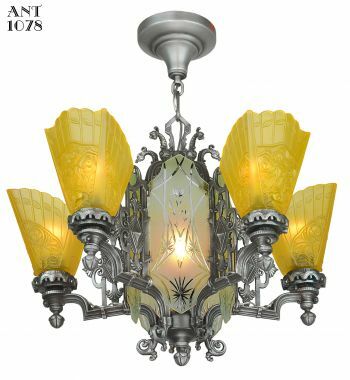 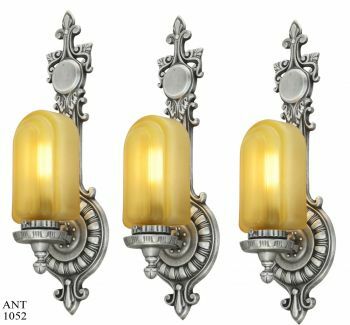 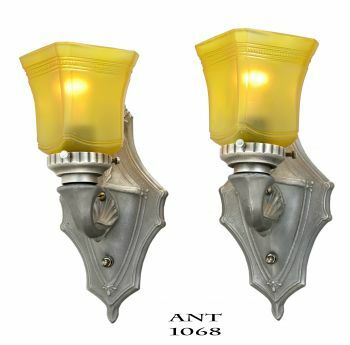 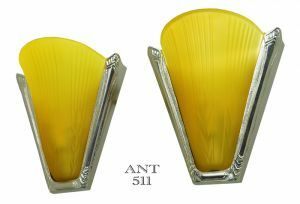 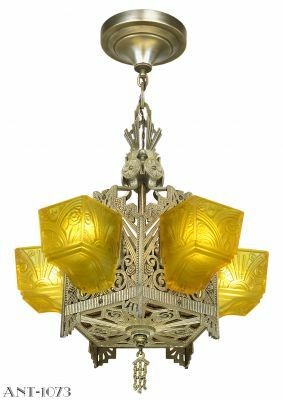 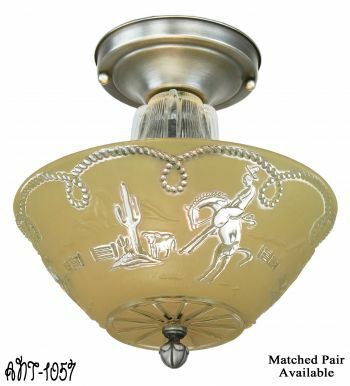 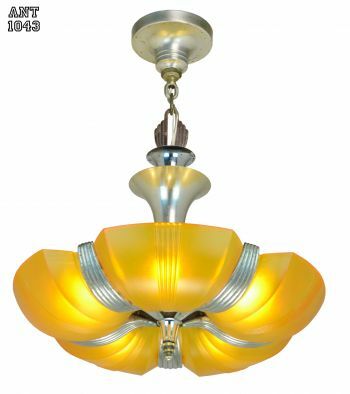 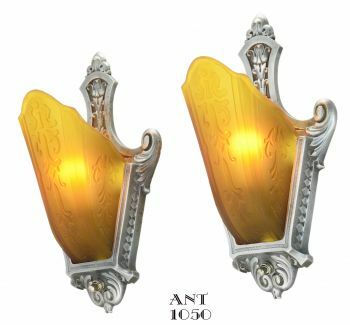 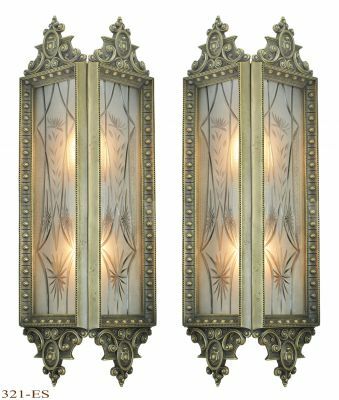 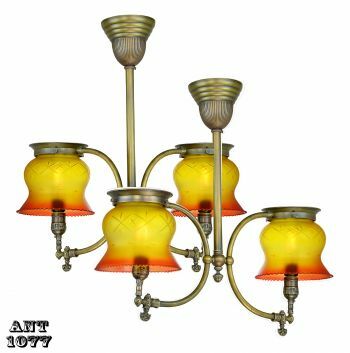 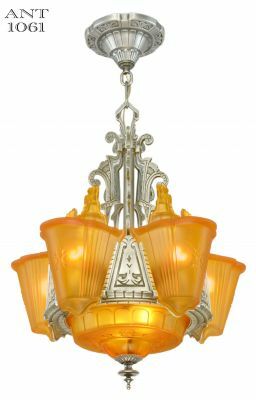 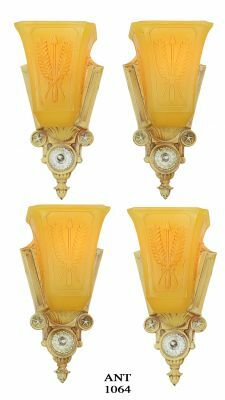 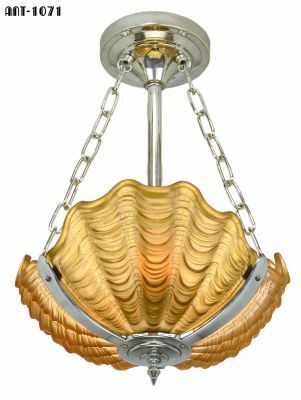 $850.00 for this great pair of UL French sconces with orginal amber shades...plus shipping.